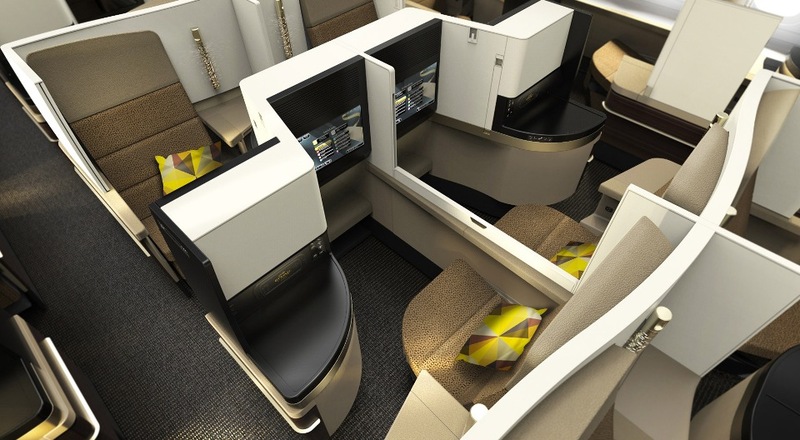 Wonder what it’s like to travel on Etihad Business Class A380? There are many carriers around the globe, however, not all of them are as good as Etihad airlines. Nevertheless, still, there are some disadvantages of traveling on Etihad, which we are going to scrutinize. Ready to start? First and foremost, being a Business Class flyer is a privilege, according to which no check-in is required. Everything is done in advance. So you go straight to the lounge. The lounge is big but not very impressive. It features a bathroom, dining room, room for smoking, and a bedroom. The seats are 1-2-1 configuration with 76 flatbed seats. The best places for couples are seats in the middle because they are the closest to each other. There is a bar at the end of the plane where you can eat and talk to other guests, to add more. 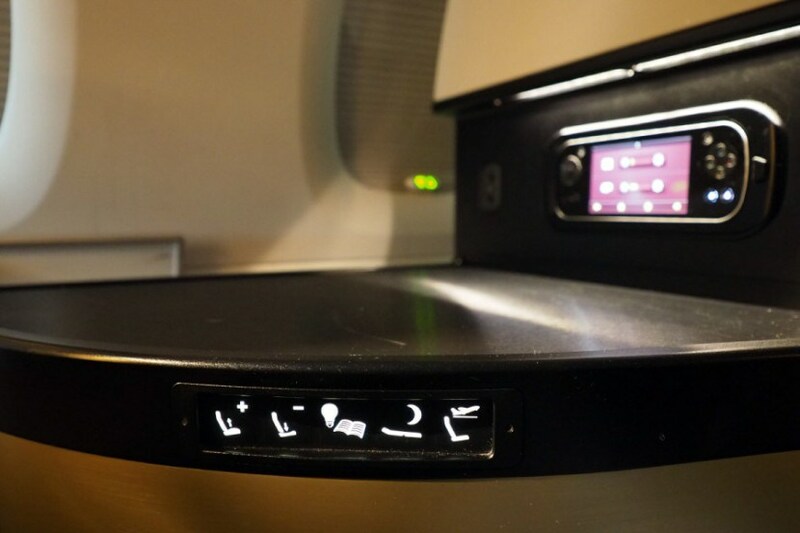 There is a little tray table, light that you can adjust, and magazines at each seat. And of course, the music on-board is stunning. Besides, there is a huge TV up ahead. It is worth mentioning that the crews there are entires European or African, there are no Asians. If you go to Emirates or Qatar, the crews are entirely Asian. One of the best things about flying Business Class on Etihad is that the seat is roomy and there is a lot of space there. There is a lot of storage space too. For instance, you can put your shoes in one of the storages. Just after the departure, the service begins very quickly with a glass of champagne and nuts. The champagne is not the same league if compared, for example, with Cathay Pacific. The hot towel to clean your hands is also provided. Besides, apart from much space in Business Class, there is a lot of space for storage compartments. Each seat features a partition to separate one seat from another and give you more privacy during the flight. You only need to push the button, and here the privacy is. There are USB ports, charging, remote, a little storage compartment, where you can put your phone. There is a mini bar where you can find some cokes, sprite, and water. Also, you may use slippers on-board. The blanket is a really big one and soft, smells good, thick, and warm. Besides, there is a soft pillow and pajamas too. On the side, there is a compartment with headphones, which are noise-canceling, but not as good as at Lufthansa. The headphones feature special magnets, which makes them easy to apply. The amenity kit includes socks, eye-shade, some cream and lip balm, earplugs, toothbrush, and deodorant. The bathroom is really stylish and clean. Besides, there is a lounge room between Business Class and first class. So that you can sit here, talk to other passengers, watch TV, news, and take a drink. There is a controller that helps to install the seat depending on how you want to set it: hard or soft. Also, you can utilize the massage function. Moreover, there is a private bathroom for a flyer from this class. The selection of food on the menu is really large. You may choose in a la carte between three starters, three main menus and cheese plate, and three desserts. A big plus is that you don’t have to choose the food right after the departure, but you may do it during all time of the flight. And you have the choice between the champagne, three red wines, three white wines, and the dessert wine. You don’t have to wait for the dinner and can order a sandwich all the time. For instance, you may order Abu Dhabi farmed caviar served on ice, truffle chicken, and gulf mezze. The food presentation is very incredible. The tray table is easy to operate. It is heavy, big and can slide. It’s good that there is Wi-Fi onboard, but it’s very expensive. For instance, you have to pay $18 for two hours. What is more, it is very slow. One of the disadvantages of Etihad is its entertaining system, which is very disappointing, despite the fact, there are thousands and thousands of entertainment options. Especially, it is so if compared to Qatar and Emirates that have the best systems in the world. The remote control and touch screen work simultaneously. To add more, it is not very convenient at Etihad airlines because there are several people to serve you during the flight, which is a hindrance to becoming friends with each other. Also, frequent flyers admit that the crew felt like almost scared and not really loving what they are doing. What is more, the crew doesn’t come to the seat and asks how well the flight has been before landing. There is no “Goodbye”, no “Thank you”, which is quite surprising for such a class. What are the advantages of Business Class with Etihad? First of all, the seats are comfortable. They are easily adjustable so you will feel great all the time. Secondly, the food and beverages are excellent. What is more, the way dining is served is just fantastic. Thirdly, there is a bar between the First Class and Business Class to enjoy talking with other guests. 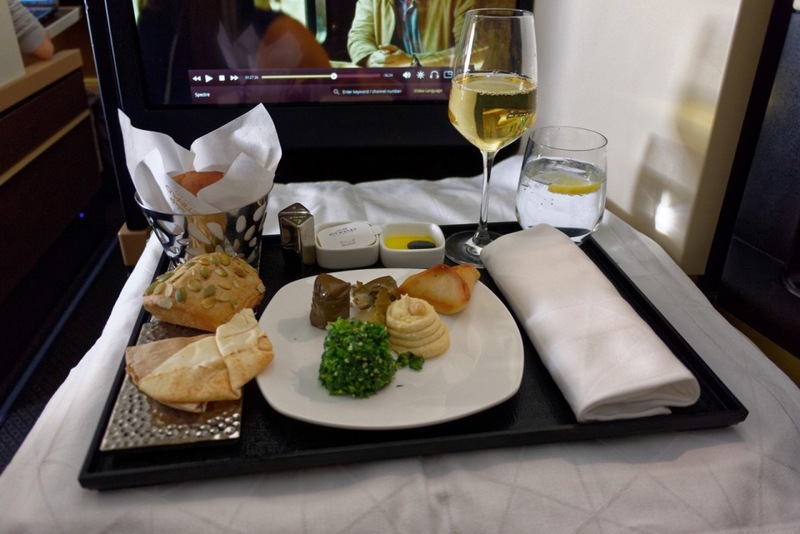 What are the disadvantages of Business Class of Etihad? Well, the entertainment system is not very good. Also, the Wi-Fi is very expensive. Besides, it is extremely slow. Also, the attitude of the crew is terrible because they are changing all the time. They do not ask whether you enjoyed the flight or not, meaning, they don’t care at all about the feedback. Moreover, the crew looks like very scared and not loving what they are doing. It is obvious that they hate their jobs, which is very unpleasant. Perhaps, flying with Etihad is not the best experience, but it is not definitely the worst one. The number of advantages outperforms the number of downsides. Meaning, it’s a pleasure to utilize Etihad service. To sum up, the general impression of the Etihad Business Class is positive. For instance, many guests admit that the food representation is very beautiful. Besides, food and beverages are very tasty. And of course, you will enjoy a glass of champagne at the beginning of the flight. If you are traveling in a couple, you can sit together and have fun because of the specific Etihad seat configuration. One of the worst aspects of flying with Etihad is the crew’s attitude to their job: it is more than unacceptable. All things considered, Etihad Business Class is worth flying with. Despite the disadvantages, you will enjoy many things about it. If you fly there for the first time, 99% you will not even notice the drawbacks. This is because only a frequent and experienced flyer is able to differentiate between good and bad service. If you have already bought a ticket of Etihad, you will have pleasure flying there. Especially, if you like to eat diverse food. But anyway, flying with a friend is better than flying alone. So if you have somebody to talk during the flight in a bar, the time aboard will go by fast. Wish you to have fun flying with Etihad! Have a safe flight! 2Get The Best Flight Deal! Lana customized for me all my trips like my personal assistant at the right price with the best fly. A Ori, I'm always traveling overseas Lana customized for me all my trips like my personal assistant at the right price with the best fly. She is awesome!! Thank You LANA. We just wanted to let you know how wonderful our trip to Beijing was! Lana is a very charming and intelligent agent and we were very lucky to have her! She is very knowledgeable and made our experience so positive! My 19-year-old son will have so much great information to share with his college friends about the history of Beijing thanks to Max! Lana was very professional, patient and very helpful. She saved us thousands of dollars on our last trip to India. We travel a lot and we'll always call her from now on for all our international trips. Lana was very professional, patient and very helpful. She saved us thousands of dollars on our last trip to India. We travel a lot and we'll always call her from now on for all our international trips. James worked was very explicit and clear in explaining to me the does and don’ts of FBC. He was able to find lower priced tickets to Sydney for me within a short space of time. I'm very happy with the service and the deals I get from Max! Even last minute! I recently stopped using my previous wholesale flight provider because the service, prices and availability of the right flights has greatly improved since switching over! I appreciate Max always being available to take my emails or calls. Keep up the good work!